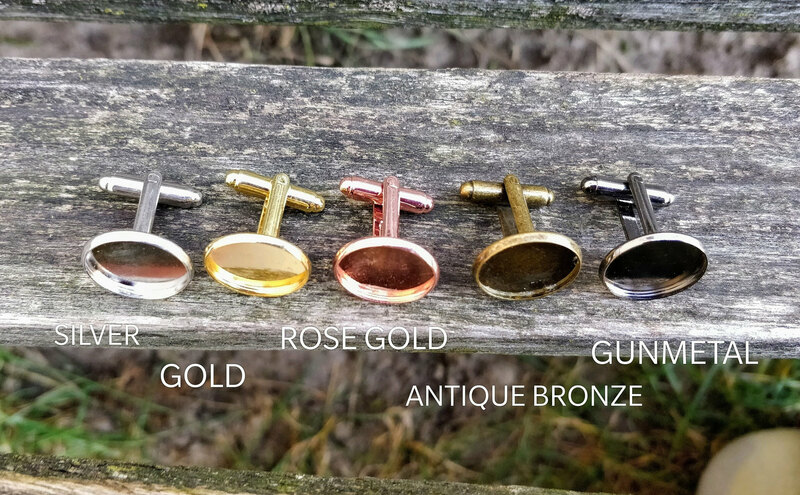 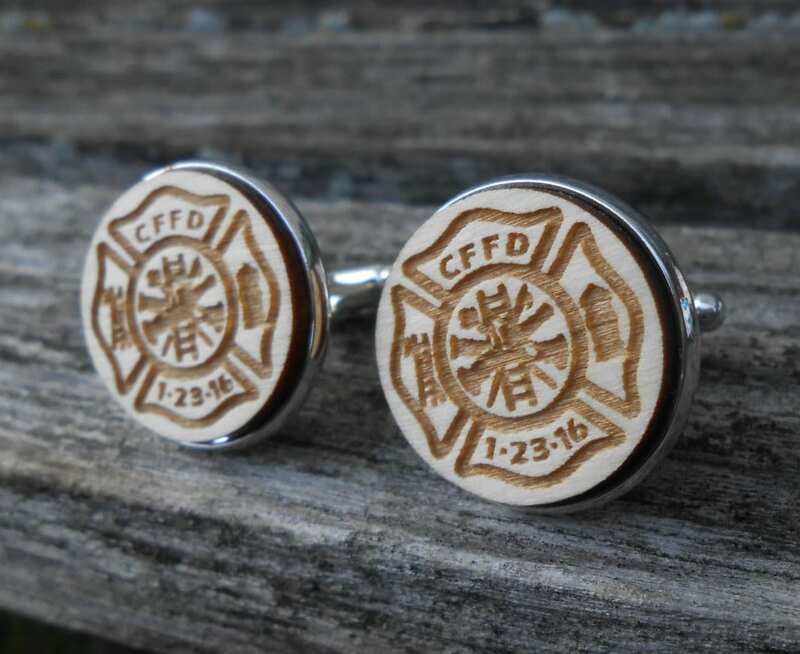 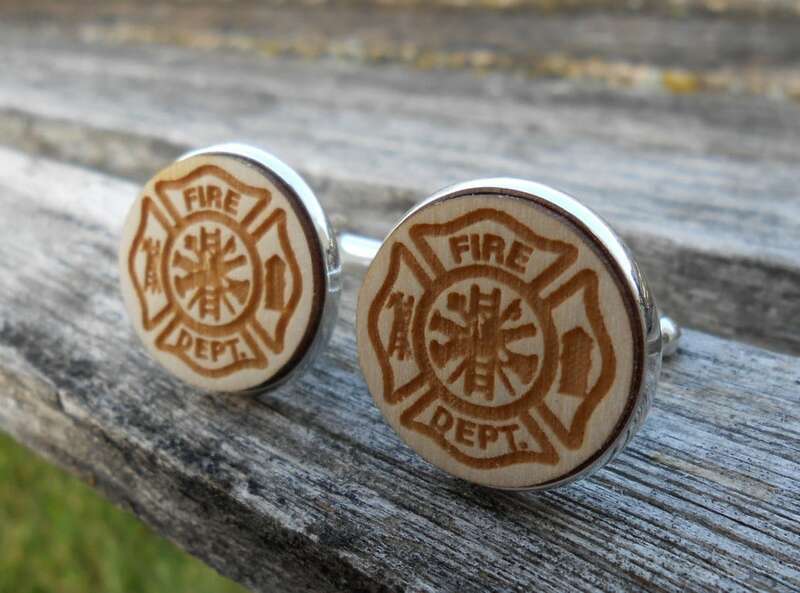 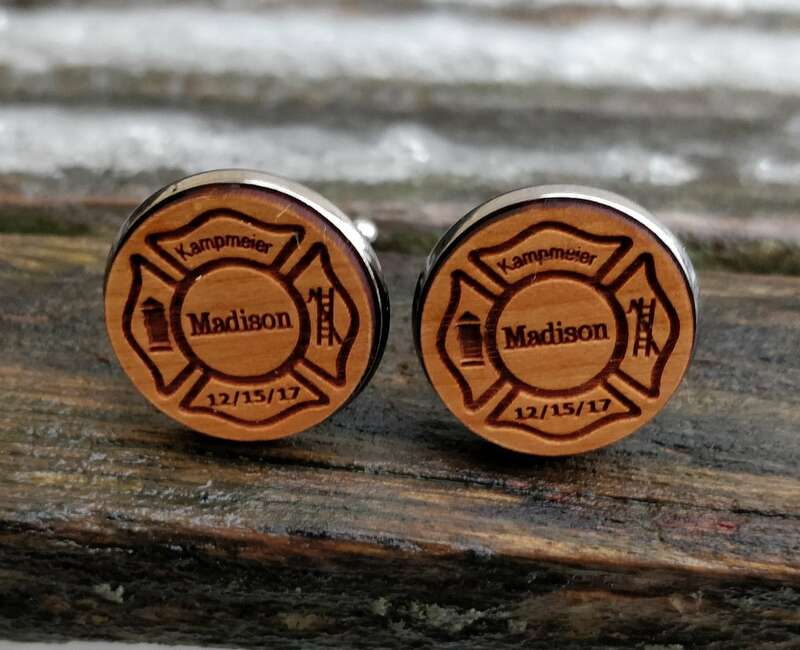 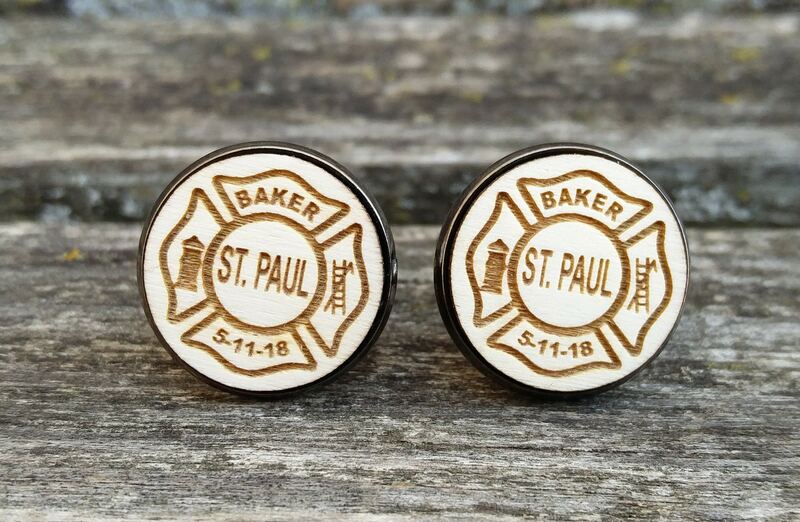 These cufflinks are perfect for a firefighter! 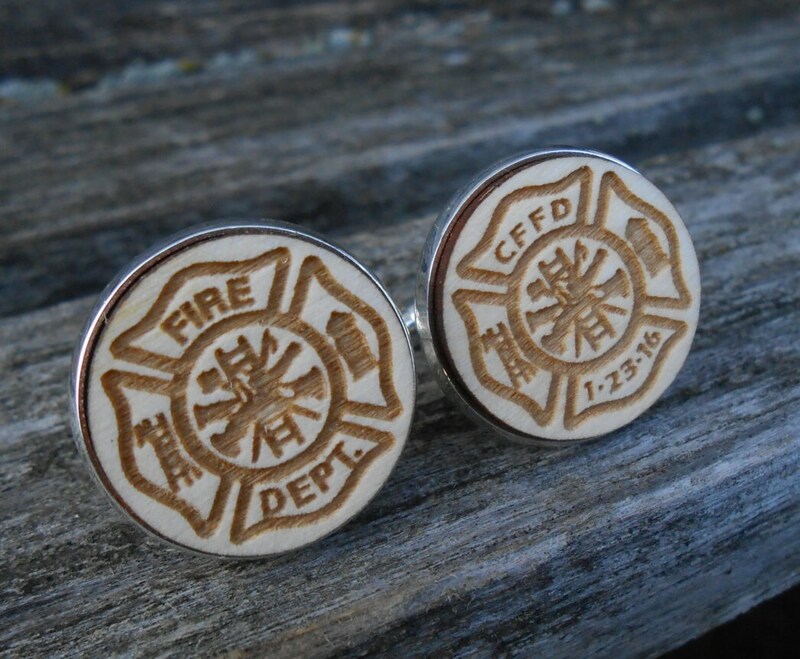 They are made from wood and each has a Maltese cross engraved on them. 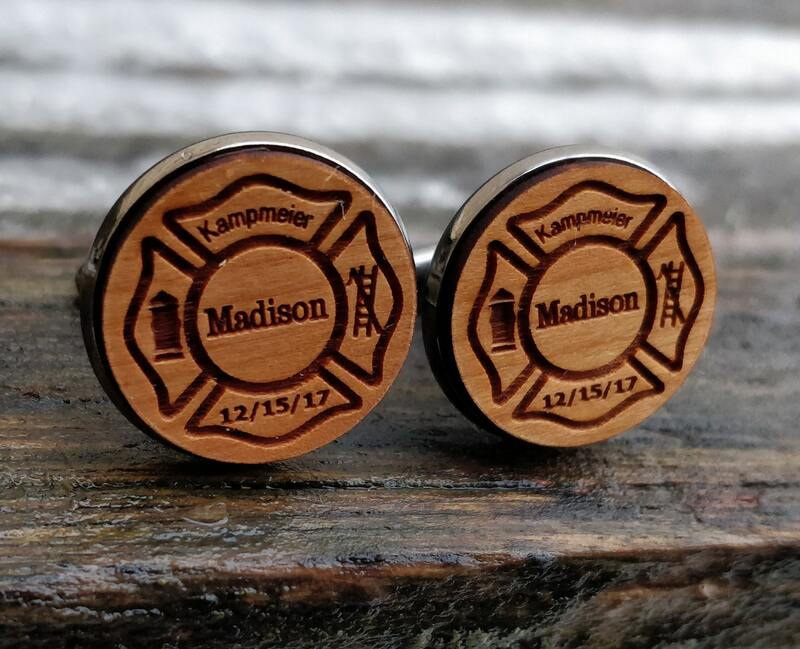 We can use the traditional Maltese cross or you can choose to have the personalized!